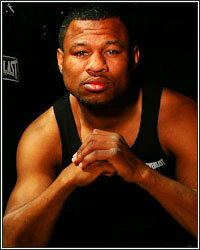 SHANE MOSLEY: "I LIKE DEVON...BUT RIGHT NOW, I GOT MY EYE ON THAT COTTO/MARGARITO REMATCH"
FightHype.com recently reached out to three-division world champion Shane Mosley to get his thoughts on recent comments made by world-class trainer Kevin Cunningham about a potential clash with former jr. welterweight Devon Alexander. According to Cunningham, Mosley would be the perfect opponent for Alexander to make his welterweight debut against in his next fight. Mosley, however, has a different opinion. "I like Devon. I'm sure we would do big numbers in the Lou, but J's my boy, so obviously I'm not going to put him in a position like that," Mosley commented, referring to the fact that his own adviser, Rap-A-Lot Records CEO James Prince, also manages Alexander. Perhaps a bigger obstacle to the fight, however, is the fact that Mosley is contemplating another move back up to the jr. middleweight division. "But right now, I got my eye on that Cotto/Margarito rematch in December. I got some unfinished business to take care of with Cotto, and I'm sure Margarito will want to prove that his mind was in other place with everything that was going on before I beat him," Mosley continued. Obviously, if a rematch with either Cotto or Margarito is to take place, it will occur at 154 pounds, where both fighters are currently campaigning, or at the very least, a catchweight north of the 147-pound welterweight limit. For now, Mosley continues to enjoy his vacation from the sport, but he made it clear that, despite his performance against Manny Pacquiao, he still has a lot of fight left in him and he's looking forward to getting his career back on track. "I'm still on vacation, but I'm not going anywhere. You never know what will happen in the future, but I definitely still plan on getting back in the ring," he added.